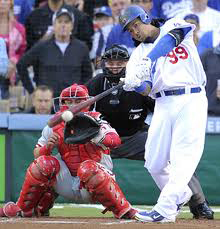 Will Manny Ramirez Be Able to Find a Home in 2013? 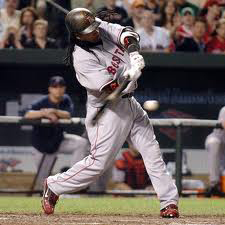 Fans of the Oakland As knew that it was a risk when the team signed controversial slugger Manny Ramirez. The man has all but retired in 2011 under a cloud of accusations that would seem to preclude him from consideration by most teams. However, given his stats, and his abilities, it seemed like a risk that was worth taking, so the As brought him on. Fans may have expressed their dubiousness, but they were also cautiously optimistic. Maybe Manny had put his troubled past behind him and maybe he would return to his former glory. Then, halfway through the season, Manny requested that the As release him and those hopes were dashed. Now, fans have to wonder. Will he be able to find a home in 2013? Is there a chance that Manny Ramirez could come back and still do something to erase the troubles that threaten to tarnish his legacy? Well, let’s take a look at the numbers. Ramirez has 555 home runs for his career. He was a key player on the Boston Red Sox both times that team made it to the World Series and won championships, helping that team shatter the “curse” rumors and the legacy that they were never to win another championship. Manny was the World Series MVP in 2004 and was an American League All Star an impressive 12 times while nabbing nine Silver Slugger awards. Ramirez’s overall batting average is .312 and he has 2,574 overall hits and 1,831 RBI. Just by looking at the numbers, you can see why there are several people out there who are still not willing to write Ramirez off for 2013. However, the question remains, who will be the team that will step up and take another chance? Did the play, or lack of it, by Ramirez in 2012 ruin his chances to play elsewhere? The answer seems to be no, if you are willing to believe the rumors coming out of Major League Baseball. When Ramirez was put on Waivers by the Dodgers way back in 2010, the Chicago White Sox reportedly had an interest. When things went south for him, however, that chance vanished and he supposedly announced his retirement at the end of 2011. However, once 2012 came around, Manny stated he wanted to come back, and that seemed unlikely before the As decided to give him a chance. As you can see, it seems that Major League Baseball is unwilling to entirely give up on Manny. The question is, will Manny give up on Manny? Will he be willing to put in the work necessary to be ready for the 2013 season? Can he avoid controversy and be the player that he has shown he can be? There are plenty of teams out there who could use a healthy and ready-to-play Manny Ramirez. The question remains, however, will any of them step forward and make an offer?